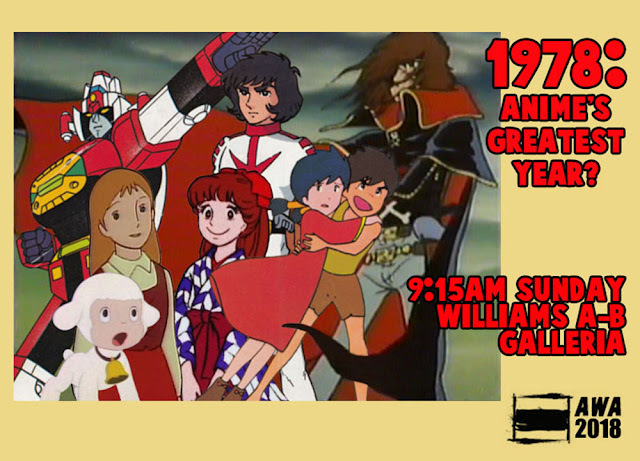 23 years ago our forefathers, well, okay, me and a bunch of my pals, we got together and put on a Japanese animation convention in Atlanta. It seemed like people had a good time so we figured we'd keep doing it, and so we did. 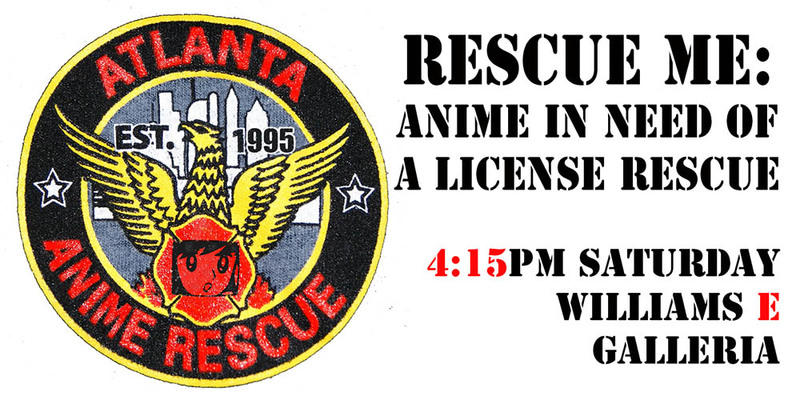 In less than two weeks we'll be getting together again at the Cobb Galleria Convention Center and the Renaissance Waverly to hold Anime Weekend Atlanta 2018. I'm still a part of the show, and that means the last weeks of my summer are spent getting panels in order and sending lots of emails to lots of people to try and get things squared away before the show. The more prep you do, the less stressful the convention is. So what will I be up to at AWA? AWA's SUPERHAPPYFUNSELL continues to be a signature event for everyone looking to clean out their closets of unwanted anime stuff, and also for people looking to score deals and fill their own closets, crawlspaces, basements, attics, spare rooms, storage units, and warehouses full of anime stuff that at one point will likely become unwanted and find itself back at the SHFS. 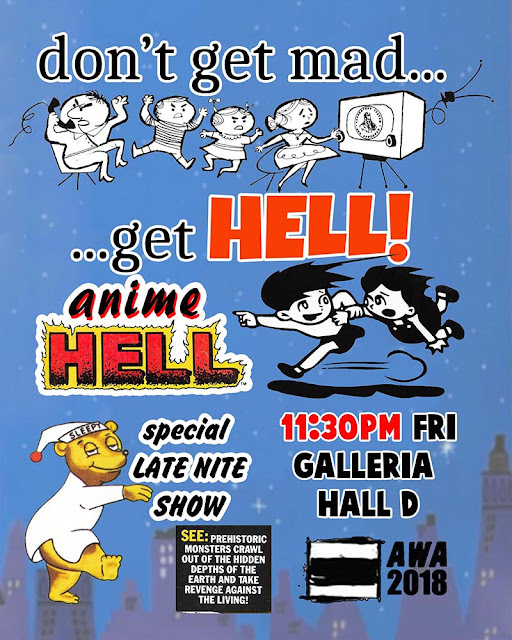 Friday night I'm bringing back my famous kooky clip show full of short subjects and entertaining nonsense that I like to call Anime Hell. 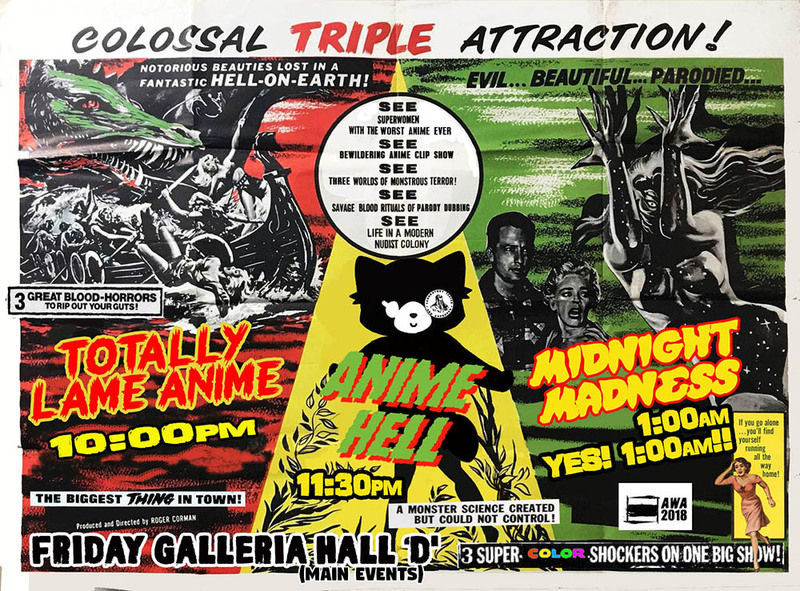 It's a little later in the night and as always it's part of a triple-threat late-night lineup of unauthorized video funtime, and you shouldn't miss it. Saturday morning at 10 I'm taking a short trip through the Psychic World Of Go Nagai, at least as represented in movies and TV anime from 1970-1990. Yes, it's "The Devilman Went Down To Georgia!" Later Saturday, professional translator Neil Nadelman and myself will be investigating some anime that's fallen out of North American license and really deserves to be rescued! Then early Sunday morning I will hop into the time machine and take us all back to 1978 where we'll ask each other the eternal question - was 1978 Anime's Greatest Year? 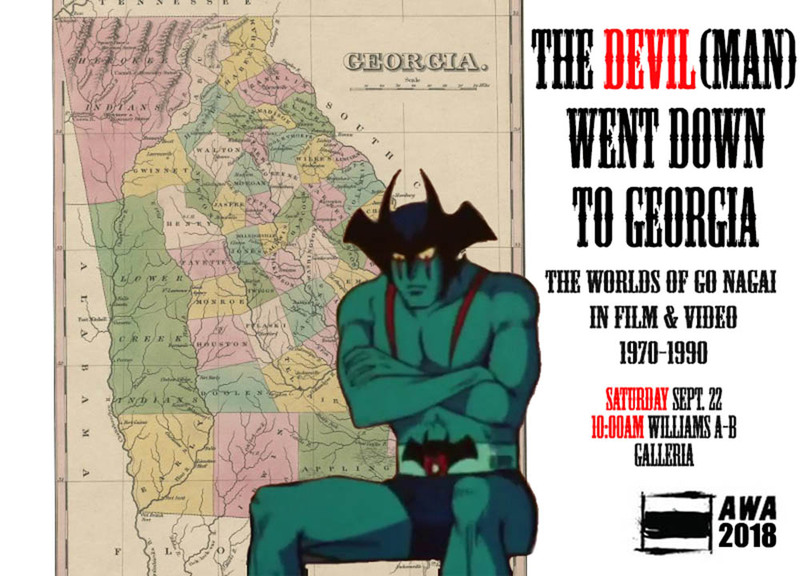 If you're reading this blog you probably already have strong opinions on this issue, and I welcome everyone who can get up early enough to make it to this panel. 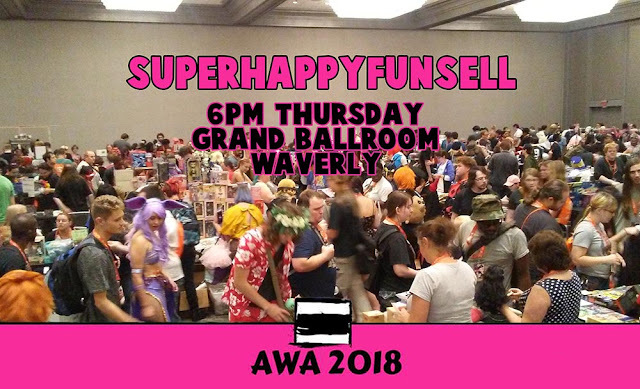 Pajamas are OK. And that, apart, from wandering the vendor room halls, catching up with old friends, and probably eating too much BBQ, is what I'll be up to this year at AWA! See you there!